Booking with RoundAbout Travel, Australia’s only RTW airfare specialists, now gives you the ultimate travel app to manage your round the world trip. Your booking will automatically integrate with the award winning TripCase app, making managing your travel bookings easier than ever. 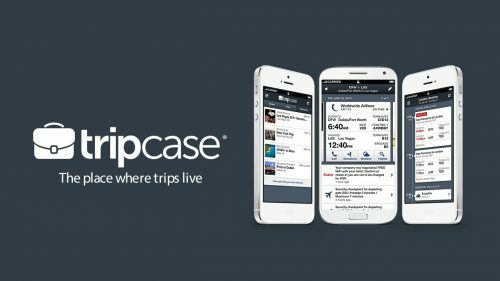 Connected to powerful tech, TripCase is a free mobile app for iOS & Android devices. Your booking will populate through to the app, with all your flight and ticket information available live and up to date at any time. You can easily build and add to your itinerary by forwarding confirmation emails to TripCase, including accommodation, event tickets or car hire bookings. The trip can be shared with others to keep them updated automatically to any changes to your trip. Weather, maps and directions can be easily retrieved and you can even order an Uber directly from the app. Any flight delays, gate changes and cancellations will be sent to you via the app, all included in the free version of the TripCase app you receive with your booking from RoundAbout Travel. 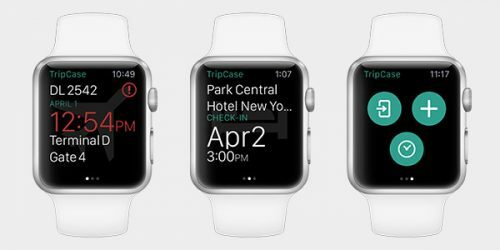 TripCase also integrates with smart devices, with Apple Watches and Samsung Gear S2 with up to date information and notifications including flight changes. Contact our RTW team for more information.